After the dark months of winter, there’s perhaps nothing more pleasant than feeling the warm rays of the sun on your skin. We need the sun and its warmth to stay healthy. and nutrients, an increase in cell division takes place, and the release of certain hormones is assisted. What is more, the production of vitamin D, which is necessary for forming and strengthening bones, is initiated by the UVB rays. The problems begin when unprotected skin, not accustomed to the sun, is exposed to high amounts of sunlight to achieve an attractive tan in as short a time as possible. 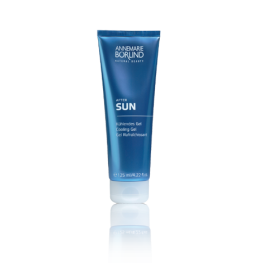 · premature, light-induced skin aging. 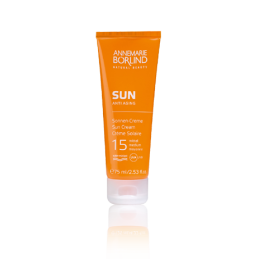 Under the influence of UV rays, there’s also an increase in free radicals. 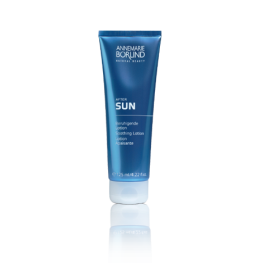 With their cell-damaging effect, these accelerate the skin aging process. To enjoy life outdoors, and particularly during a holiday, powerful, high-quality sunscreen products are required that optimally protect, evenly tan and intensively moisturize the skin. Using advanced technology and valuable plant extracts, ANNEMARIE BÖRLIND has developed sun products that fulfill today’s requirements and guidelines. 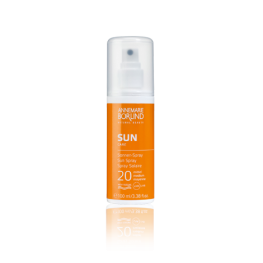 Cooling Gel The After Sun gel offers oil-free, lightly cooling moisturizing ..
Soothing Lotion The After Sun lotion is a cooling and caring instant aid..
Sun Cream SPF 15 Anti-aging Sun Cream SPF 15 provides medium sun protection ..
Sun Cream SPF 30 Contains a UVA/UVB filter, offering high sun protection a..
DNA-Protect Sun Cream SPF 30 This SPF 30 anti-aging sun cream, containing a UVA/.. 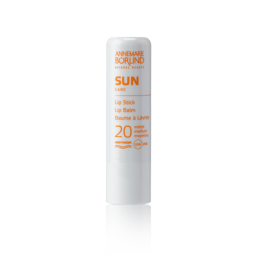 Lip Balm SPF 20 Care and intensive protection for the..
Sun Fluid SPF 10 Provides low sun protection. 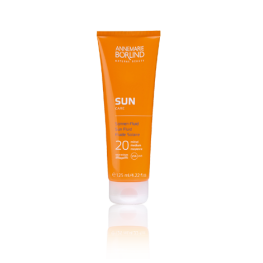 This oil- and emu..
Sun Fluid SPF 20 Provides medium sun protection. 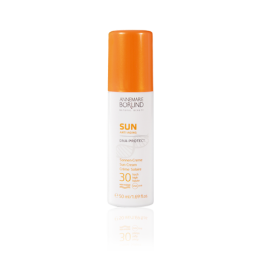 This oil- and emulsifier-fre..
Sun Milk SPF 30 Contains a UVA/UVB filter, offering high sun protection&..
Self -Tanning Lotion This self-tanning lotion – for a healthy-l..